The Himalayas, boasts more than one-fifth of the forest covers of India and is a huge hotspot of biodiversity. Forest Fires are a growing threat to the entire Himalayan ecology as it affects the biodiversity and depletes the forest cover. In 2016 only, according to the forest department; more than 1600 incidents of fires were reported and 8,600 acres of forest had been burnt. 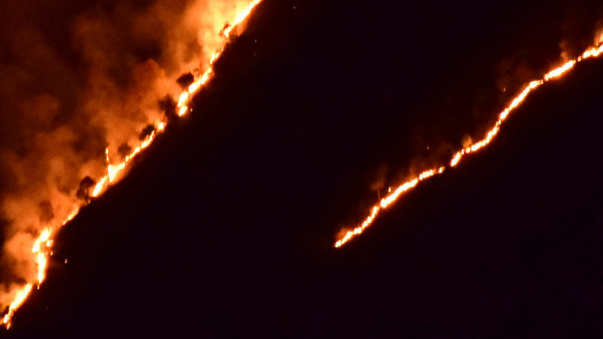 These fires are mainly initiated by the locals living in the region for short term benefits and ignoring the irreversible long term negative effects. There is a growing pattern and frequency to which these fires happen and engulfs the whole forest. It is crossing the threshold of sustainability and so it will have irreversible impact on local and global level. Fig :The average temperature of North India rose by a considerable amount as a direct result of 2016 forest fires. 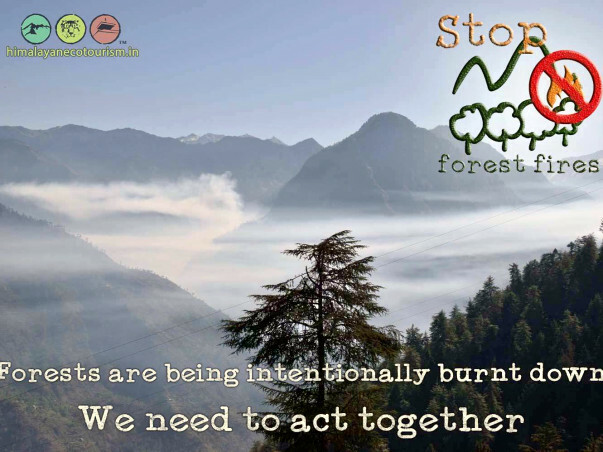 We, as interns working with the Himalayan Ecotourism, aim to cease the forest fires in the Kullu District of Himachal Pradesh by approaching the local villagers and to initiate a conscious movement. To go and meet personally the villagers living around the Great Himalayan National Park. Through constructive discussions and presentation we will highlight the fact that, when they burn forest, long term losses outweigh the short term benefits. This would ultimately create a strong movement among the people of the Kullu valley. Deliver presentations in the Secondary and High-Secondary schools as part of a sensitisation programme which would help install a rational thinking against forest fire in the mindset of students as they are the future of the region. As a part of our strategy in bringing about this change we have made a documentary “To Wake-Buddhi”, where through the voice of a child, we awaken the consciousness of the local communities of the Kullu Valley in saving the forests. Our previous crowdfunding project enabled us to acquire an Audio-Visual set-up which helped us with our presentations and showcasing the documentary. We are very thankful to all of the contributors which made our preliminary efforts a success. Now, we need to look forward towards the next step of our initiative, and, as we are a group of interns working with a social enterprise having limited funds, we need your help to successfully implement it. 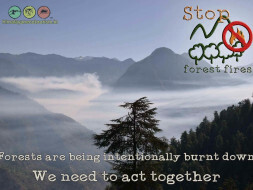 To set up boards (100) around the Kullu valley to further raise awareness among the locals and the tourists about consequences caused by forest fire- Rs. 50,000. We are ready to place road signs at the main road leading to areas where forest fires are frequent. We are also printing signs that will be placed in all dhaba and shops in sensitive areas. We also have all the required equipment for approaching school children and villagers with relevant documentaries and presentation. Thank you for the support so far. Please continue sharing our campaign. Best wishes for your noble cause. Excellent idea & concept to protect natural resources. Wish you ALL the very best in your endeavours.